E8 Garden Deck – A playful homage to celebrate the beauty of vegetables & raise awareness of their delicious taste & healthy benefits. It is planned to be printed by USPCC. 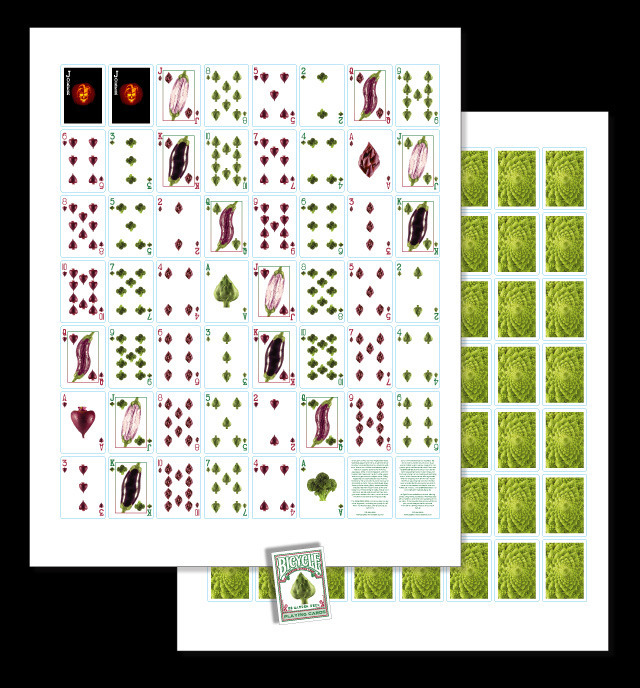 The E8 Garden Deck commemorates our collective love for vegetables and further raises awareness of their healthful qualities by making them the focus of a stunning deck of graphic playing cards. 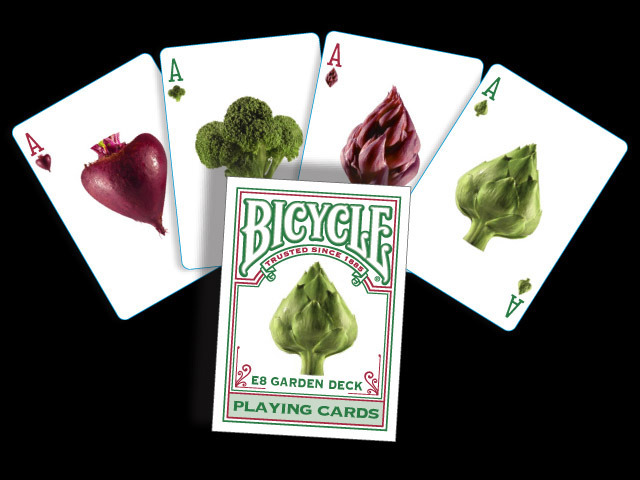 Whatever your game—poker, blackjack, or even solitaire—when you play with the E8 Garden Deck, every hand is a winning one, reminding you of the great taste and healthful benefits of vegetables. 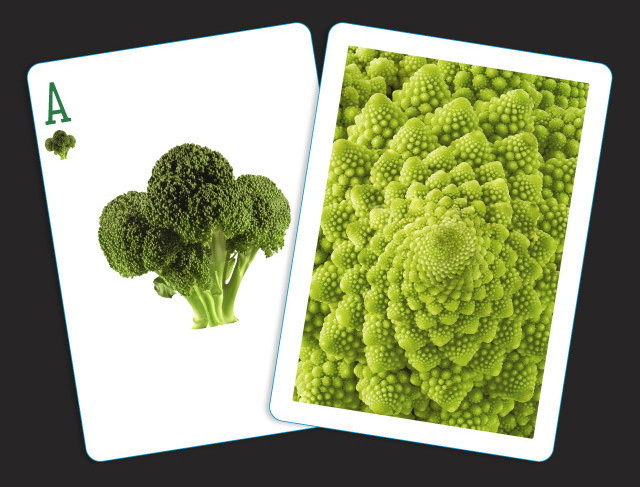 They’ve chosen to fete the most popular vegetables of the moment, including: Artichokes | Asparagus | Beets | Broccoli | Romanesco Broccoli | Aubergine Eggplant | White Eggplant | Striped Eggplant. The face cards (Jack, Queen, King) are represented by the three varieties of eggplant which are considered the “King of Vegetables”. This project will only be funded if at least $6,000 is pledged by Saturday Jun 22, 6:08pm EDT.